News From Valiant Wings Publishing: The Tempest book is here! It's here! 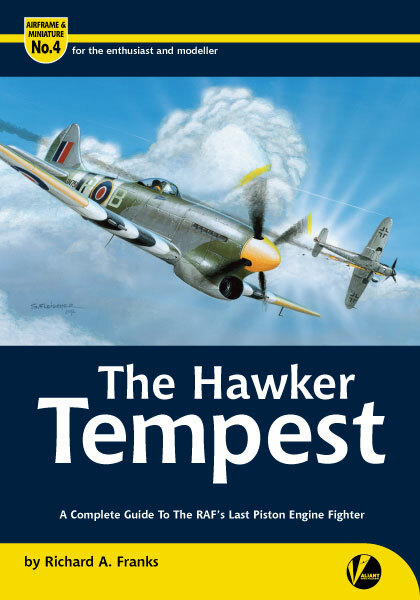 The Hawker Tempest book arrived pat on cue on Monday. All pre-ordered copies were mailed yesterday. If you haven't ordered yet you have until midnight tonight to get a copy with half price shipping (and this is the price calculated BEFORE we went up to 144 pages). If you are going to Telford at the weekend we'll have plenty on sale. Just drop by and save yourself the postage cost. Please note that owing to our Telford commitments, we will be able to acknowledge orders up till Thursday night but will not be able to ship until next Tuesday. If you need your books shipping quickly we need to have orders in by tomorrow midday. And I hope to post a cover image of our next book on our Facebook page on Thursday night. Go to facebook.com/valiantwingspublishing.